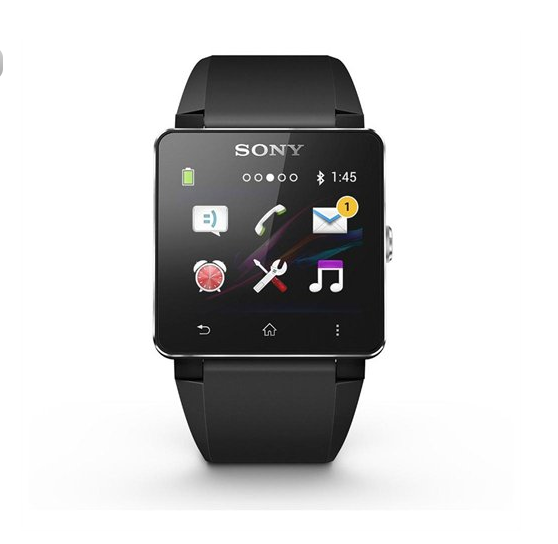 So this smartwatch thing... it isn't going anywhere anytime soon (except maybe your wrist). It's pretty clear that, even if people don't actually want them, manufacturers want people to have them. We might as well give in now, because it's happening. But I digress. This isn't about being "forced" to buy new technology. This is about getting said tech for fewer monies than some retailers would have you pay. If you're ready to hop aboard the smartwatch bandwagon, here's your chance to get Sony's newest offering for a mere $140. Yes, that's only $10 less than a Pebble costs, but I'm not going to tell you what to buy. That's your choice. I'm just here to tell you that you can get this one for $140 if you want to. It's a couple hundred over at NewEgg, and a slightly cheaper $170(ish) on Amazon, just in case you were wondering. Anyway, Sony's watch has some pretty decent features as far as watches that do more than tell time are concerned, and it doesn't look all that ugly, either. If you're interested in spending one-hundred-and-fourty of your hard-earned dollar dollar bills on just such an item, you can do so at the link below. Enjoy.